It’s 2017 and I’m Back! © The Joy of Caking 2010 -2017. Unauthorized use and/or duplication of any material without express and written permission from this blog’s author and/or owner is strictly prohibited. Excerpts and links may be used, provided that full and clear credit is given to The Joy of Caking with appropriate and specific direction to the original content. Every winter I need a reminder that spring is just around the corner. One of the best ways to do that is by making something pretty, bright, and flowery smelling. 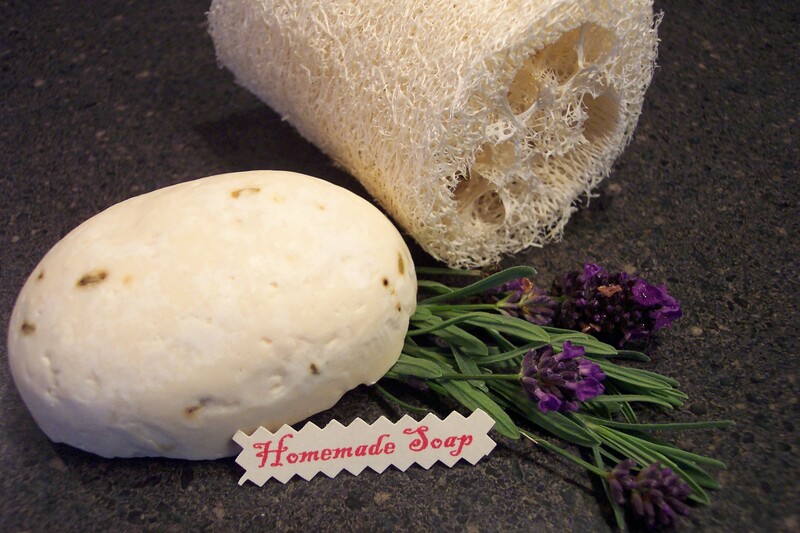 Homemade soap fills all those requirements. 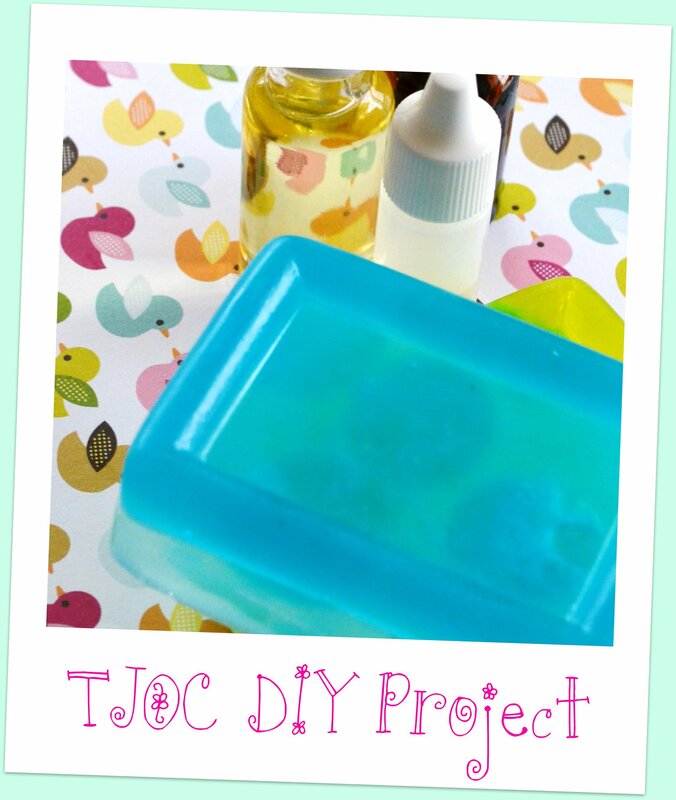 With a block of clear, unscented glycerin soap base that is easy to find at your local craft store, a bottle essential oil, and a bottle or two of soap colorants you can create your own personalized soaps to remind you of April showers and May flowers. You can invest in a soap mold or use Dixie cups, plastic electrical tape containers, or anything that you can think of that will get the job done. I like to pick the glycerin soap up when I get the big coupons in the craft store’s weekly circular. As for the oils and the colorants, they relatively inexpensive and seem to last forever. You can also use them to scent homemade candles too. This project is simple. It does require a microwave for melting (follow directions on the glycerin package), and it’s very kid friendly (with adult supervision) of course. Soaps can be creatively packaged or stored in a box with a lid to help maintain their nice scents. Check out last years batch here. What little tricks help get you through the long winter months? Do you buy yourself fresh flowers, start your spring cleaning early, or start a seed garden inside? I thought I’d share another interest of mine. Homemade soap making. 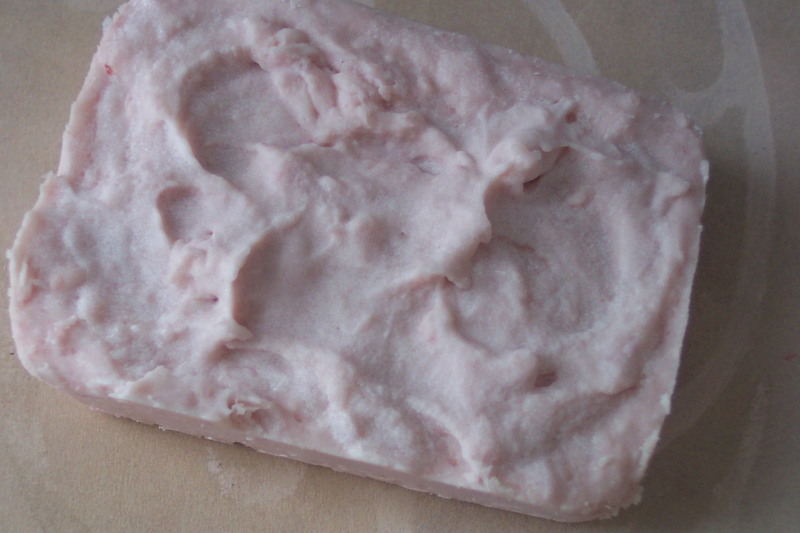 I’ve been making homemade cold-process soaps for years. Like baking, it’s quite a science. Two important factors needed when making homemade soaps – proper measurements of the ingredients, and the order they are added. 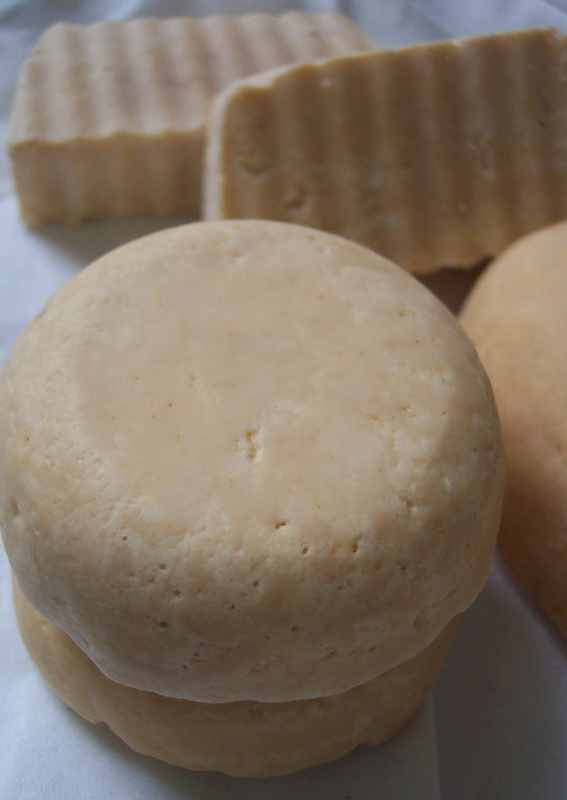 Homemade soap is made with three simple ingredients. Water, lye, and a fat. I like to use dried herbs like lavender from my garden, pure essential oils, and very little, if any colorants. My recipe makes a solid (hard) long-lasting bar of soap. Since I like making soaps, but don’t need large quantities sitting around, I sell my soaps at a local gourmet market. Selling my soaps at the market helps me cover the cost of supplies, and gives me the freedom to experiment. Along with the actual soap making comes the fun of designing labels, packages, and creating marketing strategies.